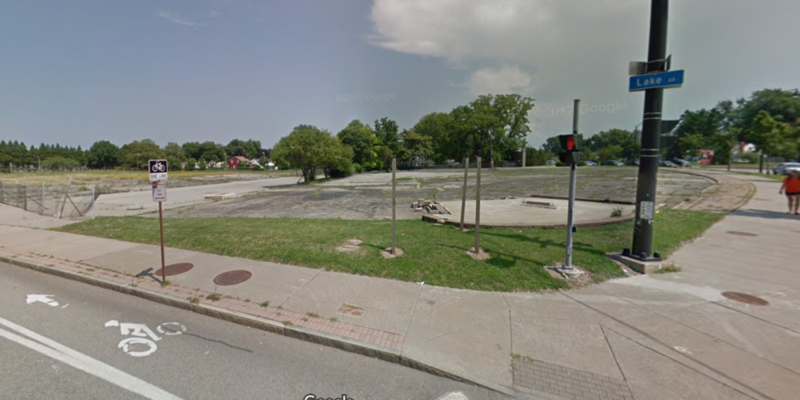 The City of Rochester wants to buy the former Piehler Pontiac site on Lake Ave. for $2.326 million to build a new Lake Section police station and neighborhood service center, according to legislation sent to City Council. The purchase price is staggering, considering the land is contaminated and it’s been vacant for 12 years. The city’s appraisal came in at $1.5 million, which is still eye-popping. There’s a reason the dealership left. Eastman Business Park, while showing signs of promise, is a shadow of its former self. Who would pay $1.5 million for contaminated land? But we wouldn’t be paying $1.5 million. We would be paying $2.3 million. For the additional $826,000, we get up to $650,000 worth of cleanup that the owner (Mike Piehler) pays. The City will cover the next $150,000 if needed. If costs exceed $800,000, the owner has to cover the next $50,000. After $850,000, the owner and the city split the costs of remediation. The structure of the deal means we have no idea how much taxpayers will be on the hook, and the city is essentially covering the owner’s initial cleanup costs. The legislation wants us to believe this is a great deal for taxpayers, as the appraiser says the empty lot would be worth $2.8 million after remediation. You could probably buy 40 houses on the next street over for $2.8 million. There are other questions, such as the difficulty of getting in and out of that lot and the cost of building a new structure (Tops on Lake will soon be available!). This is like buying a rundown house for even more than it would be worth after you fix it up. We’ve filed an open records request for the appraisal. In the meantime, this appears to be a sweet deal for the owner of a vacant piece of land no one wants – and a bad deal for taxpayers. You have my support to get to the bottom of this. Please keep us informed. Brilliant. Buying contaminated land is a high risk venture as you have absolutely no clue what issues will come up in remediation and the costs associated.if the property was worth it, the seller would have remediated already. The only reason not to is because the land is not worth the cost of remediation. Obviously the only willing purchaser for such property would be, you guessed it, the government. Why can’t we be honest. Something needs to happen with this lot and the owner needs to be accountable. Not the city. The owner should be paying for the clean up since they are the ones that made it contaminated! Pretty simple concept……. It’s like my mother always said,…. clean up after yourself!!! !, you dirty a dish, you wash it! I can’t stand the idiotic and scam deals that gov’t makes on our behalf and usually to our detriment on many levels, financial, health, etc. Sickening!!!! Keep on exposing these things and we all need to take a stand by voting, petitions, and putting pressure on those in office. You can only be part of the solution or part of the problem…… taking no action puts you on the side of being part of the problem.